Funnells is a company with a great reputation founded on being established for over 40 years. With a vast amount of commercial relocations under our belt and long term on-going contracts, carried out by our trustworthy, experienced, uniformed workforce. Whether it is just an internal move or the entire relocation of your company, locally, nationally, we can undertake your needs effectively and efficiently. We have also achieved Remover of the Month awards and also a Remover of the Year award as a result of customer satisfaction responses. Our high quality of service is something which we can be proud of and will strive to continue. 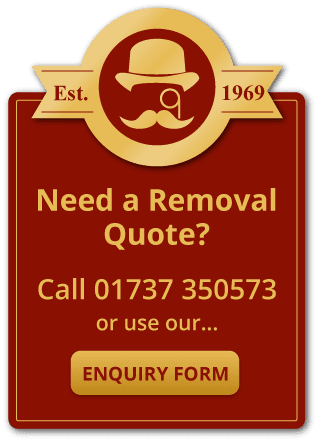 So let us undertake your relocation, with a full and comprehensive plan covering every last detail giving you peace of mind and leaving you free to carry out your own important personal schedule. A comprehensive range of services on offer to suit your needs with your convenience in mind. With access to plans of your present and future locations we can relocate you and your staff and place all furniture and effects exactly where they need to be down to the last crate. If preferred a full packing service can be arranged, with our professional staff and all packing material at our disposal, leaving your company fully operational until the very end. Or if preferred we can organise delivery of crates, including labels and security seals on request and packing materials to your premises with which you can undertake your own packing. Crates for every application including stationary, books, files and computers, with a full collection and delivery service. Computers and associated equipment are obviously delicate and expensive and with this in mind we offer specially designed anti-static bubble wrap and computer crates to ensure their safety in transit, with disconnection and reassembly by our own I.T specialists available. Unusual and awkward items are also catered for including fireproof filing cabinets, safes photocopiers and machinery with specialist equipment designed for such applications. A modern well maintained fleet of vehicles especially designed for the removals industry with a range of sizes and features which caters for all aspects of relocations. With appreciation for your company needing to stay operational up to the last minute before relocation saving time and money, we offer times to suite you which include evenings/nights, weekends and bank holidays, with many relocations being completed over a single weekend meaning companies being completely operational by Monday morning.